The Fed has eliminated interest income through zero interest rates. The days of getting 5% interest on your hard-earned savings are a dead-end dream. Artificially inflated stocks are at all-time highs by way of this insane interest-rate policy. And with stocks at these elevated levels, it’s hard to imagine much more than 2%–3% returns over the next decade. Social Security? Come on. With a funding gap estimated at $13.4 trillion? Like it or not, your Social Security benefits will be cut big time… or you’ll be working well into your 80s. Or both. No doubt you’re getting squeezed on all sides. And that’s just the tip of the iceberg. There’s another punch to the gut coming. 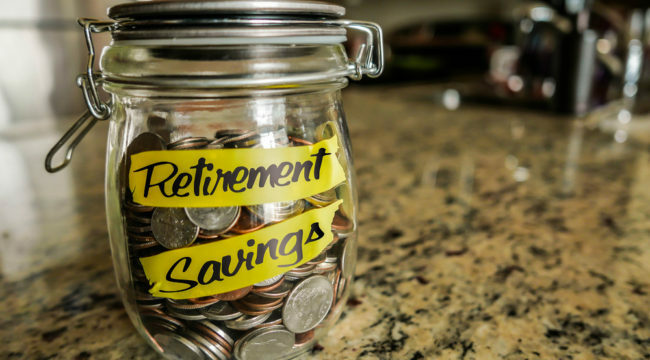 I hate to be the bearer of bad news, but the retirement crisis is about to get a whole lot worse. The government has a nasty secret it’s keeping from you: It owes its retirees a ton of money it can’t possibly pay them. And you’re on the hook for it. Credit-rating agency Moody’s recently reported that federal, state and local governments are $7 trillion short in pension payment funding. That’s 40% of the entire U.S. gross national product. Uh-oh. Moody’s also found that private multiemployer pension plans are massively underfunded by another $337 billion. As baby boomers retire in record numbers, we’re seeing fewer U.S. workers for each retiree. Right now, we have three workers for each retiree. Within a decade it will be down to two. More retired dependents with fewer supporting workers means slower economic growth and higher debt obligations. In other words, we’re not growing our way out of this problem. It’s only going to get dicier. And taxpayers like you are going to get the bill rammed down your throat. When these pension plans go bust, promised benefits will be cut to the bone. But there will still be a shortfall of epic proportions. And it will be made up by tax increases and bailouts… paid for by you. Make no mistake: This government “screw up” didn’t happen by accident. Reaching into your pockets for more cash is the redistributionist’s objective. You are just a pawn in game. And the whole thing is about to go off the rails. So with no interest income, miniscule future stock returns, stagnant economic growth, higher taxes, bailouts by the bushel and guaranteed Social Security cuts, how can you possibly enjoy a comfortable retirement? If you’re counting on those options, you’re toast and you might as well tune me out. The first and most important thing you need to do is protect your capital. That means avoiding the traditional “buy and hold” investing strategy. That means losing half of your retirement account in a matter of months, like what happened in 2008, is fait accompli. It could take you a decade to just get back to breakeven — if you ever do. That’s the retirement killer you must avoid at all costs. The second thing you need to do is outperform “buy and hold.” With stocks at record highs, most estimates have equities returning 2%­–3% over the next decade. While nobody can predict the future, it’s hard to imagine stocks averaging the expected 8% or more returns per year from these bubblicious heights. And you’ll need returns far in excess of that to make up for all of the known and unknown challenges we all face. But thankfully, outsized returns are exactly what trend following delivers. Analysts at AQR Capital Management crunched data back more than 110 years and found that annualized gross returns for trend following were 14.9%. That’s compared to the roughly 9% return from equities during the same period. And trend following was also far superior in protecting investors’ capital. The bright minds at AQR found that during the worst ten market crashes of the past 110 years, trend following experienced positive returns in nine out of ten of those events. Look, there’s no way in hell you’re going to live the retirement you want through a risky “buy and hold” strategy with stocks at historic highs, with bonds paying nothing and with Social Security gearing up for drastic cuts. What you need is a lower-risk, higher-return alternative to overcome America’s daunting retirement crisis. And based on historic data, trend following is the one strategy that gives investors like you the power to win out. Unfortunately, most investors will continue to trust the rigged system. They will ignore my warning. But they’re just like lemmings jumping off the cliff into the ocean. Even though they see the obvious danger, they follow each other – one by one – into the abyss. Please send me your comments to coveluncensored@agorafinancial.com. Let me know how you’re prepared for the coming crisis.